Are you keen to start gaining self confidence? Why do you think it is that fee-paying schools start to instil self-confidence into their pupils from day one? Pupils who attend the largest fee-paying (or public schools as they are known in England – Eton, for example) expect to be the future leaders of industry and succeed in public life. They expect to be the government ministers and world leaders of tomorrow. Building confidence and self esteem is not something they even think about. Unsurprisingly, perhaps, some from the more ordinary or state schools don’t expect success. They often come from less well-off backgrounds, perhaps their family members have not distinguished themselves or have been unsuccessful, and many have never ventured into business and public life in the past. Their self-confidence and self-esteem may be low. To make it worse, they go to schools where some teachers encourage only those who, in that teacher's eyes, are likely to be achievers. And those particular teachers themselves have little vision and do not sufficiently encourage or challenge their pupils. Will you choose to be the victim of your history or the Master of your Destiny? Fortunately, there are very many talented teachers pulling in the other direction, but those particular the pupils expect to end up on a dreary treadmill in life and usually achieve that expectation. Whatever country you are from, I am sure you recognise the pattern. There are, however, a few people who can look after themselves whatever the circumstances and the question of gaining self confidence doesn’t seem to arise. You will see them rise from nothing, make millions, lose it (as Kipling would say by risking it “on one turn of pitch-and-toss”), start afresh and make millions all over again. You could parachute some people stark naked into almost any city of the world where they would survive and, before long, become independently wealthy. Others would perish. So what is the difference between them? You will have realised by now that it has much to do with self-confidence and personal discipline; it is largely an attitude of mind. It will be clear from what you have read so far that we each quickly develop in early life our own individual blueprints. These blueprints – sometimes rather quaintly referred to as “paradigms” are forged from our early experiences and those handed down through our parents. They become our internal voice which keeps telling us to do this or do that, not do this or not do that; they create the internal chatter which we all need. So as you sit there reading this you might want to consider if you need to adjust your blueprint. Keep doing the same and you will keep getting the same. When you consider the final benefits to be achieved, you might like to change what have become bad or negative habits so that they become positive, purposeful habits. May I ask you to think about what you want to achieve and make a plan. Set small daily steps towards its accomplishment. There may be a thousand small steps to the top of the hill, but each time you move up one you are much closer to the summit – and as you do so you will start gaining self confidence. As you travel along the road gradually ticking off one small target after the other, you may be amazed at how your self-confidence improves and how much easier it becomes to achieve greater things. 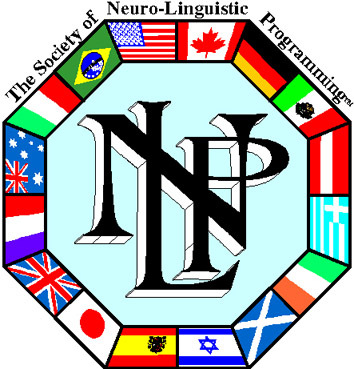 You might like to read the pages on this website about NLP. You could be surprised at how much they will help you. Read some of the countless books and stories on the web about people who started out with nothing and made good. Some of them are world leaders in their fields. Study what they did to get where they are now. Perhaps you know people in your neighbourhood who have been extremely successful. Look at their career paths. Study what they did. Modelling in this way is a key concept of NLP. But don’t listen to the gossip. The losers like to say it just landed in their laps. You might feel it wise to ignore comments like that. I know from my own experience that it is possible to start with nothing, little confidence and achieve much by gaining self confidence. I know people who have started with nothing and achieved great things. Some of us at least had the advantage of loving parents and a close family, but some people succeed with no support at all and in the face of great adversity. When David Johnson was a young lad he was seen riding around the locality on a beaten up old bike in just a pair of shorts and t-shirt, nothing on his feet, in freezing cold weather. His family squatted in a tumbledown, derelict old property. As soon as he was able he got a job or a few shillings a week and saved what he could. Then one day he discovered that an old, disused airfield on the edge of town was up for sale. It was way beyond his means but David could see the prospects. So he persuaded the bank manager to give him a loan to buy the property and set up a small factory unit. David started with a small engineering unit. He brought into the business more members of his family. He built another unit and leased it. As the money started to come in, David saved more, borrowed more, invested it in the land and bought more units to let. He brought into the business more members of his family. He built another unit and leased it. As the money started to come in, David saved more, borrowed more, invested it in the land and bought more units to let. Every week David visited his tenants and collected the rent personally. If, from time to time, some of them had trouble paying, he would reach an agreement to help them along their way because he never forgot his own roots. The time came when the old airfield was completely full of properties, so David bought adjoining land and erected more commercial buildings. By now the whole area was known as the town’s industrial estate. David became a multi-millionaire and never forgot his own beginnings. Our priorities may differ. What is important for me may not be important for you. But whatever you wish to achieve, sooner or later you will need the self-confidence to get there. Experience shows that whether you are looking for a relationship, want to speak well in public, perform well in sport, achieve wealth in one form or another, or attain success in some other area, you will need self-confidence to get there. I wonder if you are aware of the steps you can take to boost your self-confidence quite quickly. You might like to start by reading through all the pages of this website which is a resource provided to help you – and it is completely free of charge. All you have to do is sit there, read the pages and absorb the content. 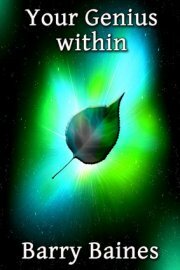 Read about the Secret. Read what the Inspirational and Teachers of the Secret say and do. 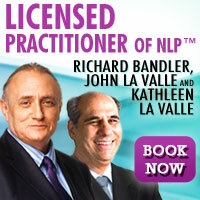 Learn about NLP and the phenomenal benefits it brings to all who take the trouble to find out a little about it. 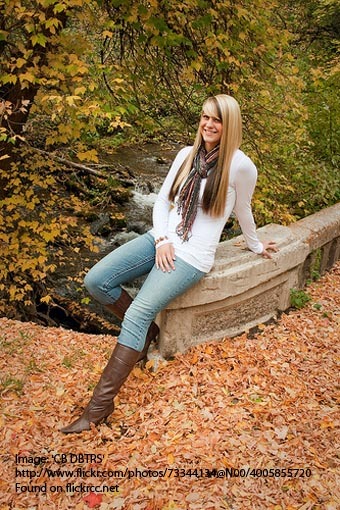 The sooner you take these steps, the sooner you will start gaining self-confidence. Imagine how good you will feel when you have acquired a few simple skills and how much more your self-confidence will grow. I am not going to say you should take an NLP course until you are completely ready for it, but by now you may wish to read more books about NLP. Think how good you will feel about taking an NLP course by then – and how much your self-confidence and self-esteem will grow.